Outside of treating other people right and doing your weekly/daily chores, we don’t have many rules in our house. Respect for each other, respect for your self, respect for your home. Those seem to cover most situations. Bedtimes, meal times, and curfews change almost daily, but one rule we do follow [and this could easily fall under “respect for yourself”] is that the kids must read before they mess with anything electronic. We’re pretty lax as far as TV is concerned, but games, computers, and iPods are pretty strictly enforced. That’s not always easy with all of it being so portable, but we try. The biggest challenge is Ravynn’s Nook since it’s a book and games all at the same time. At least she’s my most interested reader, so chances are good. 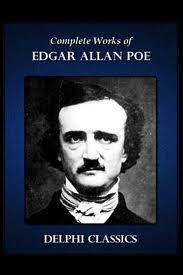 Currently, Ravynn is reading through the works of Edgar Allen Poe, starting with his poems. After every one, we talk about it – the story of it and if she liked it. She’s started rolling her eyes, “it’s about some girl he’s in love with.” I think she feels bad for him. Whisper is preparing for her first book report. The book she chose is “Edgar and Ellen: Under Ground.” Quite honestly, I’m surprised her teacher approved it as it’s well below her reading level. That may encourage her as she can read it quickly and not worry about missing anything while finishing by her due date. They’re also reading another novel in class, so less chance for confusion. Alek is taking a break from books because his schedule just doesn’t accommodate it. I know. I said it was a rule, but even with 20+ hours of dance each week, he’s carrying a 4.01 GPA. When he’s off to Houston, I’ll be sure to set him up with several books for his flight and any layovers. Jordan is between books also, but he’s working through a college prep list, so I suspect he needs me to dive into the boxes in the garage to find one of the books we already have. Guess mama has a project. Trying to set a good example, I’m attempting to read more myself. One of the 101 in 1001 Goals is to read the “Modern Library Top 100”.